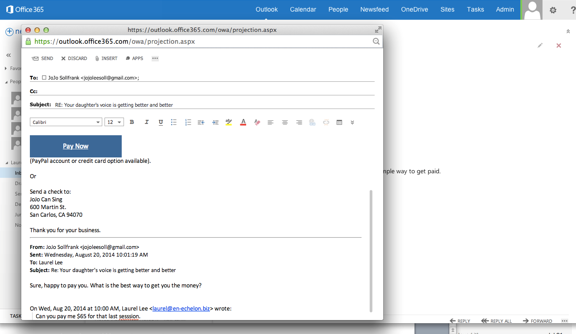 Now, Office 365 users can put a Pay Now button in their emails to their customers, thanks to the super-simple integration with Online Bookkeeping - Get Paid. 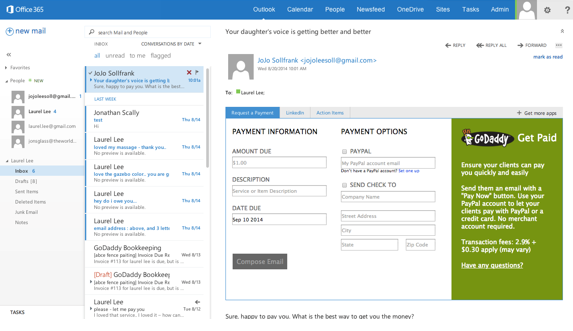 With this new integration, our Office 365 users can click "Request Payment" right from the email read pane. The small business administrator can enter the amount owed, what it's for, the due date, the PayPal account email address, and/or instructions as to where to send the check. Below is an image of what the customer will see. Custom text can be added as needed. Funds are deposited into the small business's PayPal account, and transferred to the small business's bank account at the merchant's discretion. Once they request a payment, they will have activated their Online Bookkeeping - Get Paid Starter Account, which can track not only this payment, but create invoices, enable more online payments, etc. How does the Office 365 user access their new Online Bookkeeping - Get Paid Starter account? The user will receive an email with information about how to start and log in to their new Online Bookkeeping - Get Paid account. It won't be available in their MYA initially. What if the Office 365 user already has an Online Bookkeeping - Get Paid account? The Request Payment transaction will land in their existing account. What does this provisional account allow them to do, and for how long? This is a free Online Bookkeeping - Get Paid account. This offer for a free Online Bookkeeping - Get Paid account for Office 365 users is available for a limited time, but the account the user receives is fully functional and it's free for now. 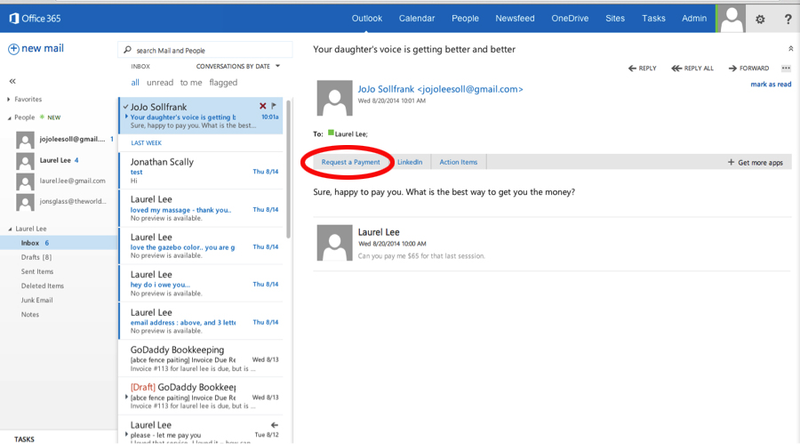 Once I have a Online Bookkeeping - Get Paid account, can everyone who has an Office 365 email box access it? Users log in to their new Online Bookkeeping - Get Paid account using their GoDaddy credentials. 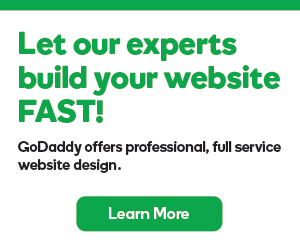 Only users who have GoDaddy credentials can have access to Online Bookkeeping - Get Paid. Can MS Office 2016 subscription be integrated into the Office 365 app?